This is my third annual “Best of the Blog” (BOB, as my wife calls it), a look at some of the most important news stories, historical anniversaries and personal favorite posts of the past year. The items are not numbered, so as to avoid the appearance of rank. Most links are to my own posts, but a few are to outside websites. Enjoy. Thanks for supporting the blog. And Happy New Year! Other long-standing Irish institutions also changed in 2015. Clerys, a landmark department store on O’Connell Street in Dublin, closed in June after 162 years in business. … In August, Aer Lingus was acquired by British Airways owner IAG for €1.5 billion after nearly 80 years of state ownership. The erosion of the Irish language continued at “a faster rate than was predicted” by a 2007 study and “demands urgent intervention,” a government agency reported in an update this year. The Republic’s official remembrance of the Easter Rising began in August with a commemorative re-enactment of the funeral of Jeremiah O’Donovan Rossa. The original Dublin funeral of the Fenian leader, who died in New York, set the stage for the Rising eight months later. Pádraic Pearse’s oration at Rossa’ graveside became a call to arms that continues to inspire Irish patriots. One of my Kerry relatives kept a copy of an August 1933 reprint of the speech, cut from the pages of The Gaelic American. I also reflected on my copy of a 1953 St. Patrick’s Day greeting from another Kerry relation. In Northern Ireland, the International Fund for Ireland launched a new “Community Consolidation-Peace Consolidation” strategy for 2016-2020 focused on removing some of the more than 100 “peace walls” that separate Catholic and Protestant communities. “We have a role to take risks that governments can’t take,” IFI Chairman Dr. Adrian Johnston said during a September briefing at the Embassy of Ireland in Washington, D.C. … But a new poll showed that support for removing the physical barriers has dropped to 49 percent, compared to 58 percent in 2012. An RTÉ/BBC poll revealed two-thirds of respondents living in the Republic favor political reunification of the island within their lifetime, while just under one third of those surveyed in the North share the view. … In what was described as a “rogue action,” the Republic’s tricolour flag flew over Stormont for a few hours in June. Fenian Brotherhood records and O’Donovan Rossa’s personal papers, held by The Catholic University of America in Washington, D.C. While doing research this summer at the U.K. National Archives outside London, I discovered some old letters that raised questions about turn of the 20th century safety operations of the Lartigue monorail in Kerry. Read the first post, and the follow up. I added two new sections to the blog in 2015. One is about my ongoing research of the 1888 murder of boycotted farmer John Foran in Kerry. The other is devoted to visiting churches named in honor of St. Patrick. 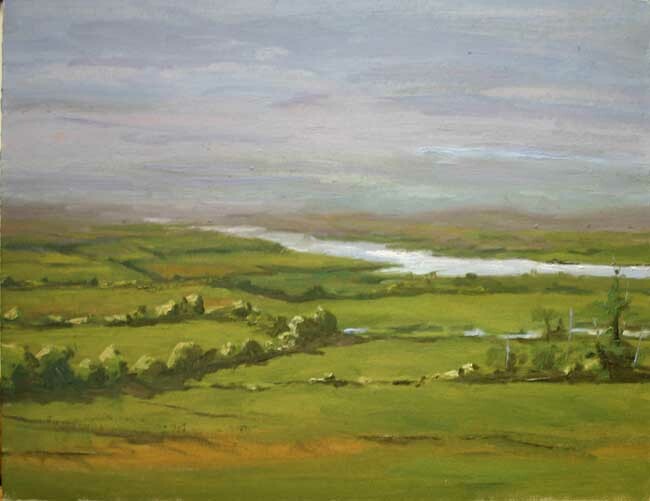 River Shannon by Therea M. Quirk. Six college students, five from Ireland and one holding Irish and U.S. citizenship, were killed 16 June in Berkeley, California, when the fifth floor apartment balcony where they were partying collapsed and plunged them 50 feet to the ground. Dublin-born actress Maureen O’Hara, who co-stared with John Wayne in the 1952 screen hit, “The Quiet Man,” died at 95. … More than three dozen other notable Irish and Irish American deaths from the arts, sports and politics are listed here. This entry was posted in Arts & Culture, Business & Environment, History, Irish America, Northern Ireland, Politics, Religion, Sport and tagged Aer Lingus, catholic church, Clerys, George Mitchell, International Fund for Ireland, Jimmy Deenihan, O'Donovan Rossa, Padraic Pearse, William Butler Yeats on December 29, 2015 by admin. It’s the end of an era as more than 95 per cent of Aer Lingus shareholders vote in favour of an acquisition by British Airways owner IAG, thus formally bringing to an end almost 80 years of state involvement in the airline. … The €1.5bn sale is now irreversible. This entry was posted in Business & Environment, History and tagged Aer Lingus on August 18, 2015 by admin. Is deal to acquire Aer Lingus about to take off? 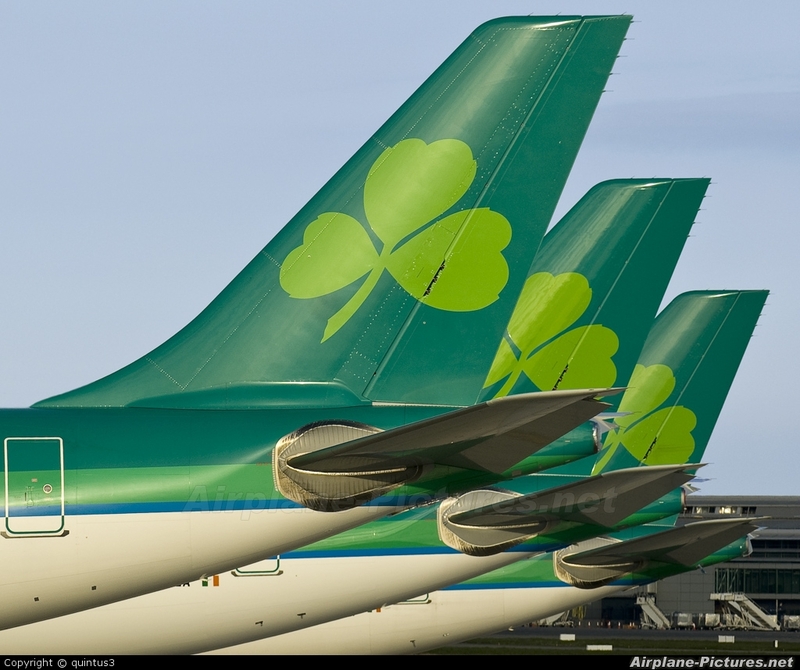 There’s been a lot of attention lately to the possible sale of Irish airlines Aer Lingues to International Consolidated Airlines Group, or IAG. At issue is whether the Republic of Ireland sells its 25.1 percent share of the airline, best know for the iconic green shamrock on the tail wing. IAG has said it wants state approval for the deal. The proposed deal is said to be worth 1.36 billion euro ($1.5 billion). Doubts about whether IAG keeps current employment rates at the airline and maintains popular routes to England’s Heathrow are making Irish politicians nervous ahead of 2016 elections. “If IAG are going to do something they have to do it very quickly if the entrenched positions people have been forced to take are to be unwound,” a senior government source told Reuters. Aer Lingus was one of the first success stories of the fledgling Irish state. It remains a source of national pride and identity. Despite the proliferation in recent times of budget airlines, many of us still prefer to fly with our one-time national carrier – as Aer Lingus passenger numbers indicate. Aer Lingus was founded by the Irish government in 1936 to provide air services between Ireland and the UK, according to this company history. The first transatlantic service to New York began in 1958. The name Aer Lingus translates as “Air Fleet” from the Irish word for “long,” as meaning a “ship.” Here’s a four-part history produced for the airline’s 75th anniversary in 2011. Each segment runs seven minutes: Part 1; Part 2; Part 3; and Part 4. And here’s more history from the Historical Aviation Society of Ireland, compiled five years before the 75th anniversary. In other aviation news, Icelandic budget airline WOW announced new routes between Dublin and Boston and Washington, D.C., with stops in Reykjavik, Iceland’s capital. Flights begin in October and will take 12 to 13 hours, including the stopover. The D.C. flights will use Baltimore-Washington Airport, not Dulles or Reagan. Depending on traffic and mode of transportation, that’s about 45 minutes to 90 minutes from the heart of D.C. This entry was posted in Business & Environment, History, Irish America and tagged Aer Lingus on February 8, 2015 by admin.